supply of up to 6,000 cars. The cars on trucks BARBER S-2-R have increased capacity (75 tons) and special rate. 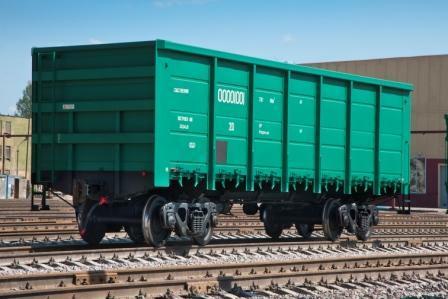 The design of the truck laid technologies that helped to create the chassis of freight cars with safety performance, operational reliability and life-cycle costs, which have no analogues in Russia and CIS countries. The cars of other manufacturers do not have a tariff discounts for similar operating parameters. SUEK first in Russia to receive new cars TVZ in supervised operation. The total demand for cars SUEK is about 48,000, its own park — about 20,000. The contract is for 5 years with option to buy cars in 3 years. According to the Deputy Director General, Director of Logistics Company "SUEK" Dennis Ilatovsky, the company expects to increase capacity at the ports of loading and in 8%, reduce the cost of transportation due to discounts on these cars, and greater cargo capacity.